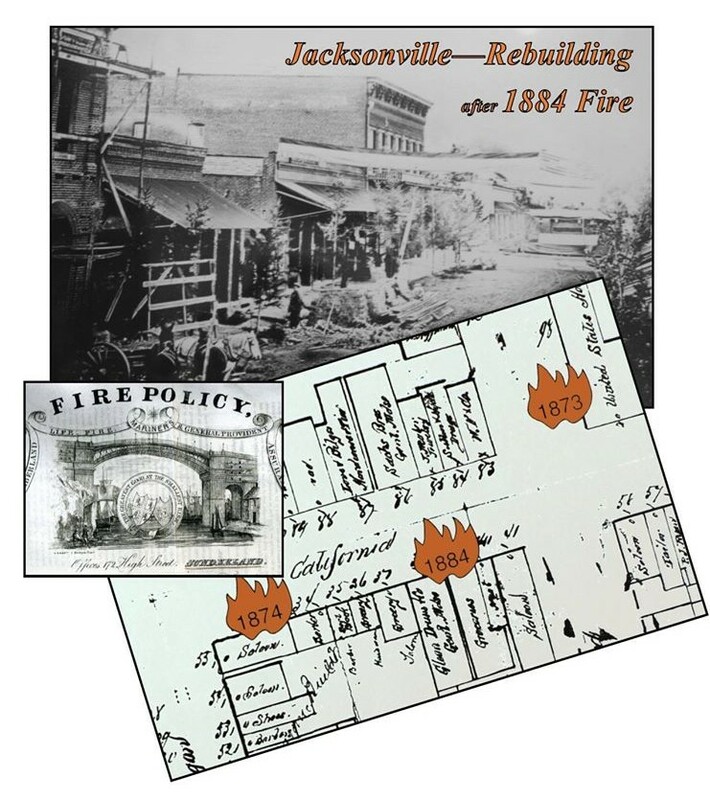 Fire of 1884 | Historic Jacksonville, Inc.
Fire was a significant hazard in early Jacksonville with major fires destroying portions of the town in 1867, 1873, 1874, and 1884, and 1888. The town’s volunteer fire department, Engine Company #1, responded to the call of the Applebaker Fire Hall bell well into the 1950s. Today, Engine Company #1 provides back up services to the town’s professional fire fighters, and the Applebaker Fire Hall, attached to Old City Hall on South Oregon Street, houses an historical fire museum. With major fires destroying portions of early Jacksonville, Oregon, fire, or more accurately “fire insurance” was the impetus for most of the brick construction that now comprises the town’s historic commercial district. The City Fathers did not mandate brick commercial buildings until 1878. However, very early on, insurance companies penalized owners of wooden structures—and buildings adjacent to wooden structures!